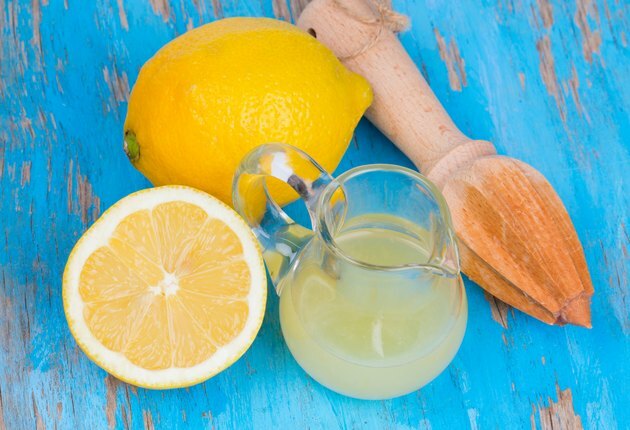 How Much Weight Can You Lose With the Lemon Juice Diet? Though the Lemon Juice Diet isn't as overly restrictive as some diets that involve lemon juice, it does help you lose weight by limiting your food choices to healthy options. But don't expect to drop a lot of pounds in a short period of time on this plan. The diet actually aims to help you lose weight slowly, at a rate of 1 to 2 pounds a week, which is better for keeping it off. Before you start any diet plan like the Lemon Juice Diet, consult your doctor to discuss benefits versus risks. The lemon juice diet was created by health and fitness writer Theresa Cheung. It's a non-fasting detox diet, which means it claims to help you lose weight by detoxing your body of harmful substances without limiting your intake to solely juice, special tea or water like other detox diets. The diet starts with a 24-hour detox during which time you drink lemon juice mixed with cayenne pepper, maple syrup or cinnamon and filtered water all day, along with fruit, vegetables, unsalted nuts and seeds, beans, organic yogurt and fish. Following the 24-hour detox, the diet follows a seven-day schedule in which a new concept for the plan is introduced each day. For example, on day one you start by drinking a glass of lemon water first thing in the morning. On day two, you eat five servings of fruits and vegetables. On day three, you're asked to sprinkle 2 teaspoons of lemon juice over your food, and the diet recommendations continue throughout the rest of the week. Each new concept of the diet is supposed to help improve digestion, blood sugar and your overall detox for weight loss. You're asked to eliminate sugar, processed food, soda, coffee and alcohol, and eat mostly organic on the Lemon Juice Diet. In addition to the foods you eat during the detox portion of the plan, you're also allowed to eat chicken, soy foods, whole grains and healthy fats found in vegetable oils, nuts, seeds and fatty fish. During the 24-hour detox, you can lose about 2 pounds, according to dietitian Juliette Kellow, in a review of the diet for Weightlossresources.co.uk. Though that initial weight loss may be exciting and motivating, it's probably not body fat that you're losing, but instead water and maybe some muscle. If you keep eating according to the Lemon Diet plan, you could lose another 1 to 2 pounds each week, which is a healthy and safe rate of loss. Most health care professionals recommend taking weight off slowly, at a rate of 1 to 2 pounds a week, to lose actual fat. The diet includes a variety of foods from all the food groups and with moderate portions sizes it may provide about 1,500 calories, which is an acceptable number for many people. However, because everyone's calorie needs vary, you may need to eat more or less, depending on your size, age, gender and how active you are. If you plug in your personal metrics into an online calorie calculator, it will compute your maintenance calorie needs for you. And since a pound of body fat has 3,500 calories, you can cut 500 to 1,000 calories a day to lose 1 to 2 pounds a week. Be sure not to drop below 1,200 calories a day if you're a woman, or 1,800 if you're a man though or you risk slowing your metabolism. Detox diets that supposedly help you eliminate toxins are quite trendy. But here's the thing: Your body is an amazing machine, and as long as it's in good working order, it's able to rid itself of harmful substances on a daily basis without help from any particular food or combination of foods. Most detox diets help you lose weight by restricting your caloric intake. Although not as restrictive as most of the other detox plans, The Lemon Diet is a reduced-calorie diet that's meant to be followed long-term for continued weight loss, and it's based on healthy, whole foods. Though they don't have any magical powers that can help melt fat or detox your body, lemons and lemon juice make a good addition to any weight-loss plan. The juice from one lemon has only 11 calories and meets about one-third of your daily vitamin C needs. As an antioxidant, vitamin C protects your cells against damage from free radicals, which may help your body fight against chronic illnesses, such as heart disease and cancer. Low in calories and full of flavor, lemon makes a delicious addition to your calorie-free sparkling water, which you can drink in place of soda. It also adds flavor -- without a lot of calories -- to steamed veggies, fish, chicken, grains and salads. Despite its benefits for your diet, the acidity in lemon juice can damage your tooth enamel, so when you drink lemon water, use a straw to minimize exposure to your teeth.